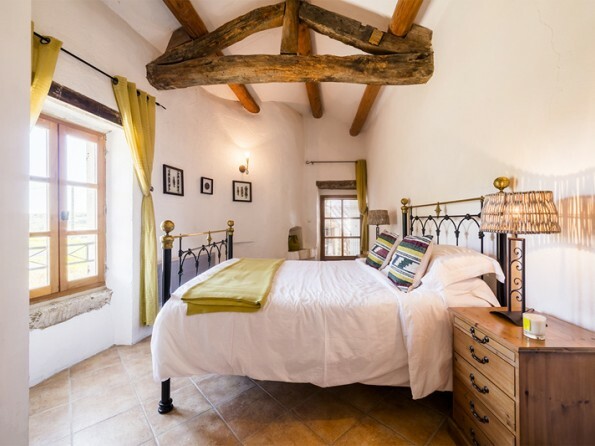 The perfect romantic hideaway for 2, a luxury gîte set in a spectacular ancient Provençal mas in lovely grounds with a pool. 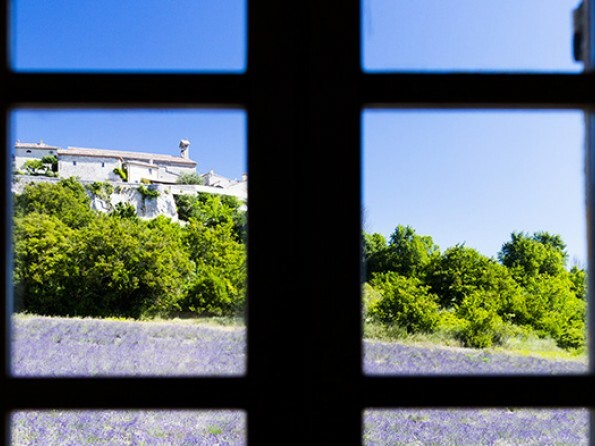 Close to captivating mediaeval Uzès in the unspoiled Gard. Total comfort in a very special place. 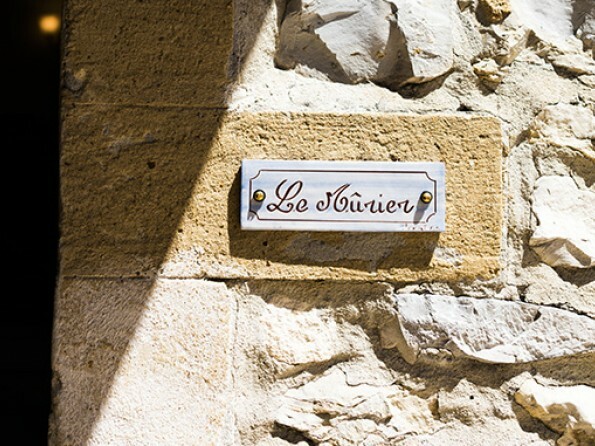 Le Murier is the smaller of our exclusive gites / villas in the Languedoc. Romantically set in the old silk workings of our ancient 'Mas' (farm) it is a luxurious retreat for 2 and ideal for a honeymoon. It is comprehensively equipped with everything you might need. Fully fitted kitchen, terrace, wifi The Mas is huge and beautiful with its origins in the 16th century. Our 7 acres of grounds are there for your use as is the 11 metre pool. Our rates are absolutely inclusive. 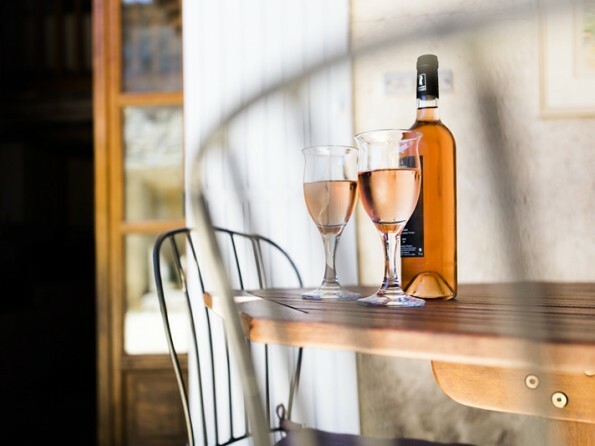 We provide a welcome pack and a simple and relaxed dinner à la Provencal the weekend of your arrival, a good chance to meet any other guests and find out more about the area. Bikes available. . This is an eco friendly place and you can buy organic produce from us. 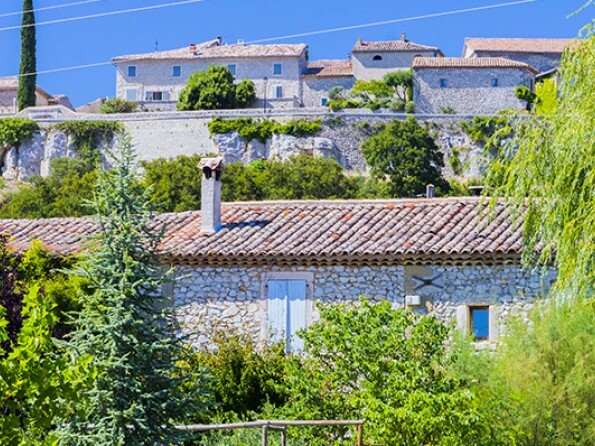 See also our gites Le Grenier and Bergerie on this site. 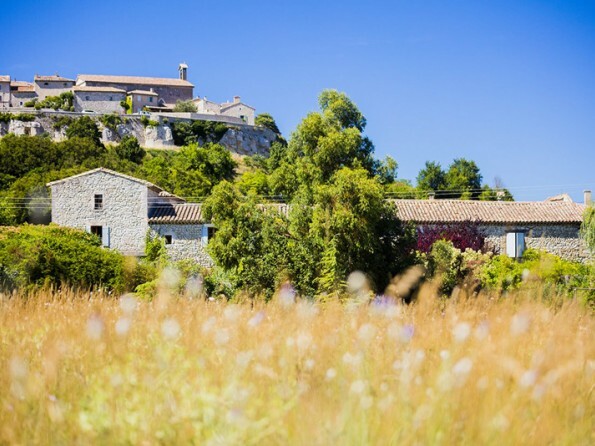 Our three gîtes, are next to the pretty hilltop village of Lussan, one of the ‘Plus Beaux Villages de France’. Our nearest town is Uzès, a delightful mediaeval town - one of the loveliest in France with its famous twice weekly markets. We are within an easy drive of Nimes, Montpelier, Marseille and Avignon and the sea is about an hour and a quarter by car. For outdoor enthusiasts we are close to both the Cevennes and the Ardeche, both offering endless options for hiking, biking, swimming and canoeing. Within hiking distance of the mas is Les Concluses, a natural gorge cut through the hills, with ideal swimming and picnic spots. Roman sites abound, most notably the Pont du Gard, just 20 minutes drive away. We are within easy reach of Nimes, Montpelier, Marseille and Avignon airports. The TGV from Paris and Eurostar run to Avignon. The gîte is fully equipped, if you can't find it we will get it. The bedroom is spacious with a quirky shape reflecting its ancient use. 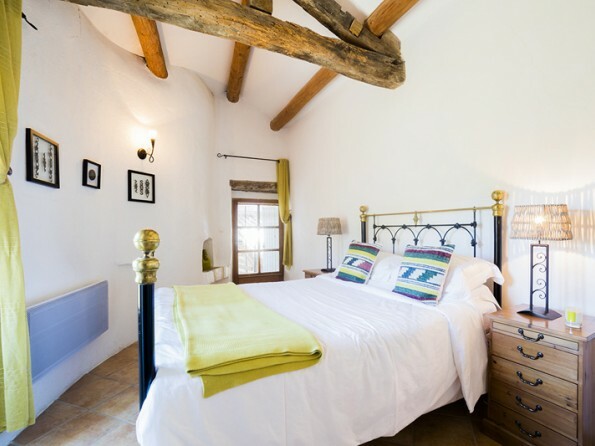 The ceiling is beamed and vaulted, linen is high quality cotton and the antique brass bed is equipped with the best mattress and topper we could find. The bedroom is ensuite with a fully equipped and supplied bathroom. The living room is spacious and bright with comfortable seating for 4. There is a hifi, games and a library. Wifi is available. The gîte has a fully fitted kitchen and we have a small shop offering local produce, basic essentials, our own free range eggs and fresh boulangerie delivered daily to order. We provide binoculars and bird books and you can borrow maps if you want to hike this lovely countryside. There are mountain bikes for your use if you are feeling energetic - serious cyclists are welcome to bring their own. 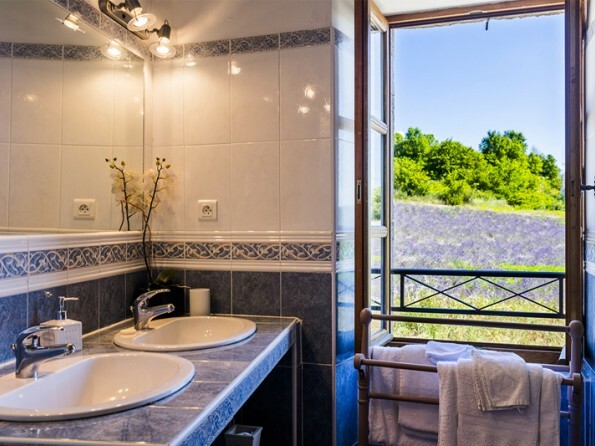 Each gite comes equipped with an iPad pre loaded with local information and our electronic welcome pack, and bluetooth speakers for connect to smartphones. 7 acres of grounds including spectacular gardens, carp ponds, shady places, private BBQ spots, a wildflower meadow and a lovely pool in its own safe walled garden. This is the perfect retreat. Lovely views, spacious but full of interesting features. All rooms have lovely views up to the village. There is a small shop selling our own free range eggs and produce and we bake bread and croissants to order every morning - delivered in a basket to your door warm and wonderful! We have two other gîtes which can be taken together to create a wonderful base for a large friends or family reunion. 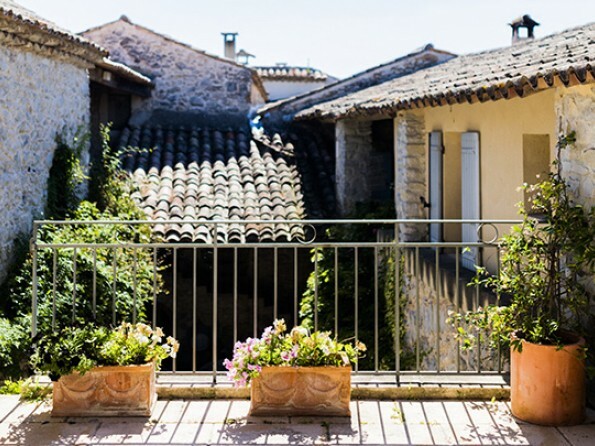 Rentals for the villas in Provence are weekly - Saturday changeover. The whole property is strictly non smoking. We regret that due to the nature of the property, the Mas is not suitable for those under 16 years.